One of Australia’s greatest landmarks, Sydney Harbour Bridge, is now accessible to everyone following the installation of elevators. People with disability, families with prams and older Australians with reduced mobility will now be able to truly experience the iconic bridge. Chief Executive Officer (CEO) of Physical Disability Council of NSW (PDCN), Serena Ovens has been campaigning for Sydney Harbour Bridge to be accessible for a number of years and is thrilled following the recent announcement. “After more than a decade of advocating for everyone to be able to access the Harbour Bridge, I’m delighted this day has come,” she says. “This has been a significant achievement for PDCN, and all Australians and visitors to Sydney who rely on easier and safer access to what is doubtless a spectacular experience of a visit to Sydney,” Ms Ovens says. The campaign called ‘Everybody’s Bridge’ led by PDCN was supported by PDCN’s members, a myriad of stakeholders and the general public. PDCN President Mr Chris Sparks believes this is a landmark day for accessibility in Australia and a monumental occasion for the one in five people living in NSW with a disability. 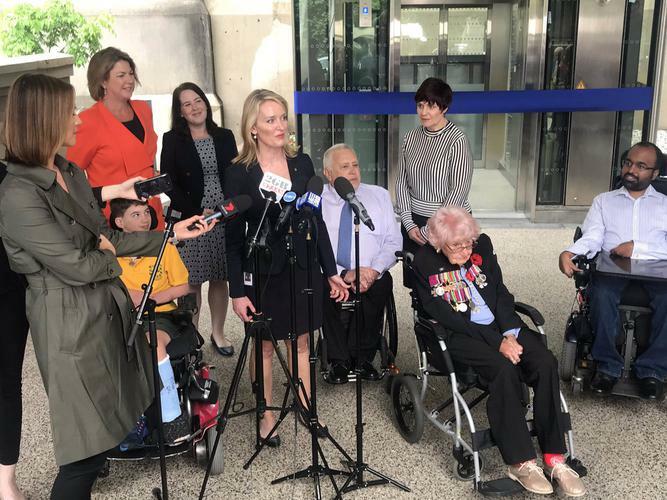 “I have been a wheelchair user for over 50 years and today for the first time my wife and I will be able to stroll across Sydney’s legendary coat-hanger”, Mr Sparks says. “For every person with disability, the tourism multiplier for business is between 2 to 4”. He says the move to make Sydney Harbour Bridge accessible coincides with work that PDCN is currently undertaking with companies such as the Australian Tourism Data Warehouse and AirBnB to improve accessibility. Accessibility Product and Program Manager at AirBnB Srin Madipalli says the announcement is a win for accessible tourism in New South Wales. “At the top of close to every travellers’ list is experiencing the Sydney Harbour Bridge,” he explains. “This is a watershed moment for inclusion and accessible tourism and will no doubt be a drawcard for travellers the world over,” Mr Madipalli says. Co-CEO People with Disability Australia, Therese Sands shares her delight for PDCN’s successful campaign, Everybody’s Bridge. “We’re delighted to see the opening of lifts for the Sydney Harbour Bridge, and congratulate Physical Disability Council of NSW for their Everybody’s Bridge campaign to improve access. Access to all our public facilities, such as the Sydney Harbour Bridge, needs to be made a priority so that everyone can use them,” she says. When people with disability go out to explore and visit different places, we need to make sure that they can have equal access. “It’s not good enough to develop tourism resources that are only available to 80 percent of those who want to visit them,” Ms Sands says. Member of NSW Parliament, Kate Washington took to Twitter to show her support. “Finally!! There’s access for all to Sydney Harbour Bridge. Well done to all of the #disability advocacy groups who’ve fought for this for so long #standbyme #sydneyharbourbridge"